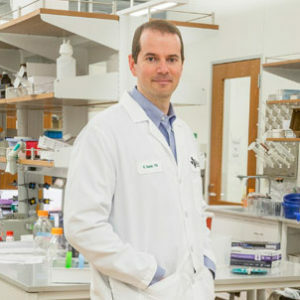 You’ll also discover more about how a UT Southwestern researcher’s insights into alternative medicines and practices adopted by cancer patients, and how Kanarys is partnering with UT Austin to research workplace diversity, equity, and inclusion, in this roundup of research and development activity in North Texas. The healing glove is one step closer toward commercialization, after researchers at the University of Texas at Arlington Research Institute (UTARI) and the University of Washington said the REHEAL Glove team and REHEAL LLC had successfully developed a manufacturing process for the revolutionary bio-engineered healing aid. Development of the process was fueled by a $227,000 award from the Medical Technology Enterprise Consortium (MTEC), awarded in October 2017. According to UT Arlington, the MTEC agreement paid for the development of this low-volume manufacturing process that created 100 flexible polymeric gloves for early stage clinical trials. That success earned UTA the MTEC Prototype of the Year Acceleration Award in March at the consortium’s fourth annual membership meeting. It’s an award given to a project that advances a novel prototype technology to its next major milestone in a 12-month period. The REHEAL Glove is a flexible glove wound dressing to treat hand trauma that provides negative pressure wound therapy. It allows early motion therapy during healing to reduce scarring that prevents irreversible joint stiffness. The glove provides a way to deliver therapeutics and control the wound environment for better, faster healing. Migraine is three times more common in women than in men. Why is that? A new pre-clinical study from University of Texas at Dallas researchers may have the answer. According to research published in The Journal of Neuroscience, a protein linked to the development of migraine symptoms caused pain responses in female rodents, but not in males, when introduced into the meninges, the protective tissue layers surrounding the brain. Female rodents weren’t used in most previous pre-clinical investigations of migraine and the protein calcitonin gene-related peptide (CGRP)—just males. Many patients with cancer diagnoses often find alternative medications and practices to their traditional medicine treatments, according to UT Southwestern Medical Center. The alternatives include meditation, yoga, acupuncture, herbal medicine, and supplements. UT Southwestern said a discovery by Dr. Nina Sanford, assistant professor of radiation oncology, is drawing renewed attention to habits she said cancer patients must disclose during treatment. She specializes in and treats cancers of the gastrointestinal tract. Herbal supplements, followed by alternative medicine and chiropractic, or osteopathic manipulation, is most common, according to her analysis of data from the Centers for Disease Control and Prevention’s National Health Interview Survey. 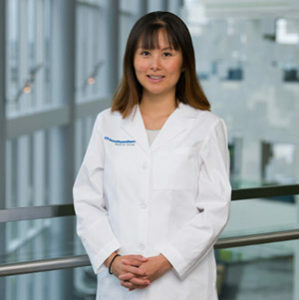 Sanford published her findings in the journal JAMA Oncology. “Younger patients are more likely to use complementary and alternative medicines and women were more likely to, but I would have thought more people would tell their doctors,” Sanford said, referring to the 29 percent of people who use complementary and alternative medicine but don’t tell their physicians. Find out more about Sanford’s work in this report by Patrick McGee. Kanarys Inc., the Dallas data-driven technology platform, and the University of Texas at Austin’s Division of Diversity and Community Engagement (DDCE) have announced a joint research partnership that focuses on workplace diversity, equity, and inclusion. Kanarys’ platform is aimed at fostering collaboration between companies and employees on those very issues. The startup will work closely with the DDCE to analyze anonymous employee feedback, surveys and insights gathered on its platform to compile critical research and trends on workplace diversity and inclusion initiatives. “Companies have historically focused on diversity but not as much on inclusion. With this research partnership, we collectively aim to transform America’s workplaces so that they are truly diverse, equitable and inclusive to all,” Kanarys CEO and co-founder Mandy Price said in a statement. UT students will benefit from this unique opportunity. It’s more big news for Kanarys, which recently closed a $575,000 pre-seed funding round that the company said was necessary to lay the groundwork to launch the platform and add data analyst and AI/machine learning talent to the team. The event pitted the teams in a two-day competition that produced nine winners, two special place awards, and six awards for the Elevator Pitch. You’ll also find news about how SMU Cox School MBA students are doing research for Arcis Golf, and how a $625K grant is aimed at improving healthcare at the Dallas VA Medical Center in this report on research and development activity in North Texas.